The Town of Paradise Valley is primarily residential. Its culture is influenced in part by the partnerships built and fostered between the resorts, schools, and places of worship. 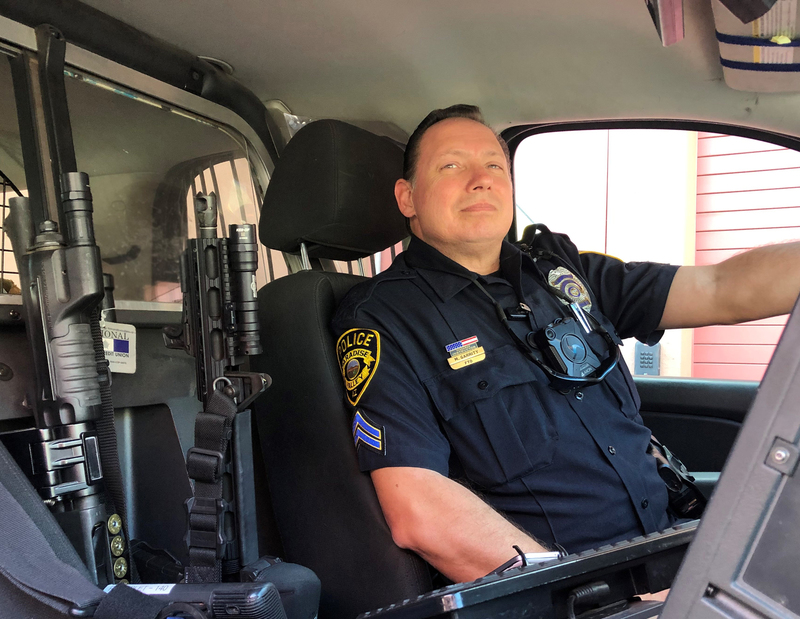 It’s unique geography, history, and high-quality public services align the mission of their local police department with the Town’s public safety needs. The Paradise Valley Police Department protects the rights of all persons within their jurisdiction to be free from criminal attack, to be secure in their possessions, and to live in peace. A three-year average of local crime shows 85% of the crime is property crimes. For clarity, property crimes would include burglary, theft, motor vehicle theft, and arson. Additional statistics are made available online at paradisevalleypd.com“A properly set and activated alarm helps us take suspects into custody - prevent harm to and seek justice for all victims within our Town” says Corporal Mark Garrity. Burglars are opportunistic, and they don’t want to be caught. Video surveillance is not only a deterrent to criminals but also serves as evidence to link them to a crime.Unfamiliar to many residents is the fact that most burglaries occur to a residence that is left unsecured. Most burglars do not knowingly want to enter an occupied house. Best practices to help protect your residence and support a safer community are to lock up, install video surveillance, and set the alarm anytime you leave or before going to bed. These practices will help aid the officers responding to each active emergency.Although less common, a property crime can transition into a crime against a person. All community members should know what to do in a worst-case scenario by having a plan, discussing that plan, and practicing it with your loved ones. For further information and education on best safety practices to prevent and prepare for critical emergencies, the department encourages anyone interested to attend an upcoming Citizen Safety Forum.On Tuesday, March 19th, 2019 from 5:30PM to 7:30PM the Paradise Valley Police Department has partnered with the Maricopa County Attorney’s Office to host an event with free refreshments called the Citizen Safety Forum. There will be two keynote speakers and presentations on Active Shooters as well as Burglaries & Thefts. The forum, which will explore these topics with the community, will be held at the Paradise Valley United Methodist Church located at 4455 E. Lincoln Dr. in Paradise Valley, AZ. For more information on the Citizen Safety Forum and to place a courtesy reservation for preparation please visit MaricopaCountyAttorney.org/CSF or call (602)506-7621. Photograph of Corporal Mark Garrity who has 30 years of service dedicated to law enforcement. Shown is equipment used and accessible by the police force.